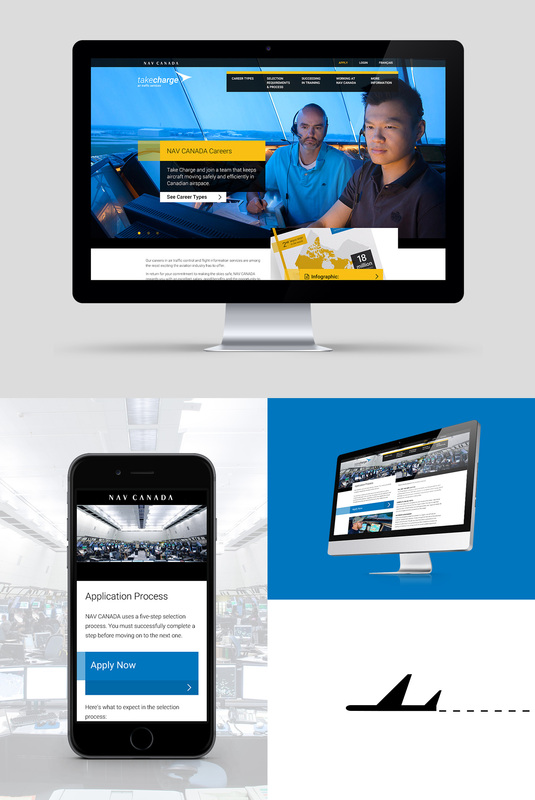 This project was a re-design for NAV CANADA's air traffic services career website, Take Charge. 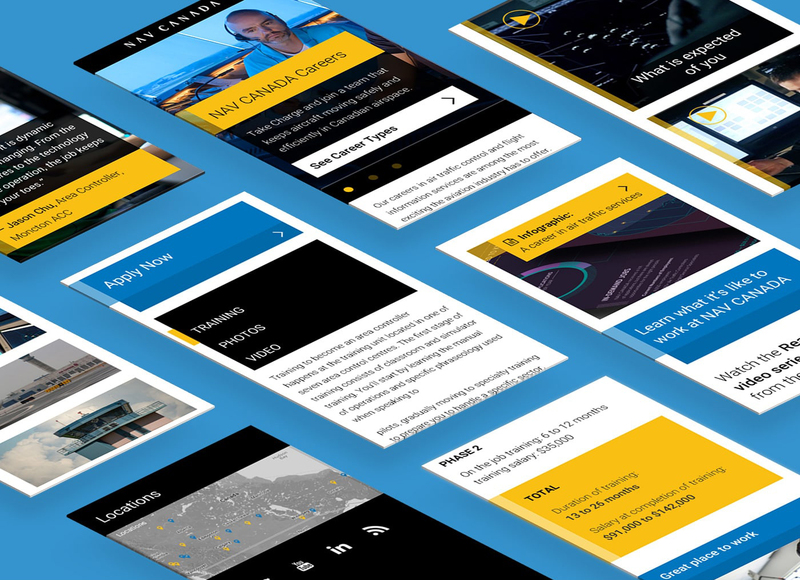 My role as senior visual designer was to create a new visual direction and produce all visual deliverables for the website, as well as, create a separate infographic for the company. Check out a TV app for a sports league here.